The restorun 2.0 system is a very powerful tool for hospitality management at restaurants, for enlarging the volume of reservations and for managing the customer databases. 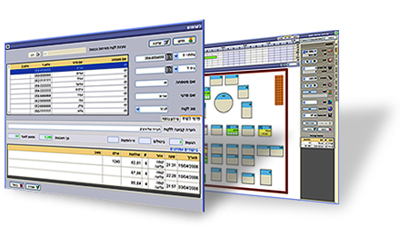 Restorun 2.0 provides the tools to organize future reservations in the optimal manner, to rapidly and easily update reservations in real time and to produce reports for ongoing operation and active marketing. A clear and detailed graphic presentation of the restaurant's status at any time: which tables are available, which are about to become available, what is the status of the reservations at each table, when the next customers are expected to arrive, and which tables they will occupy. For the most part, even if it seems that the restaurant is full, an additional table can be made available through more efficient organization of the tables. The system's ability to monitor table occupancy and to quickly move reservations from one table to another enables you to "gain" additional tables and to enlarge the restaurant's revenue. A reservation management interface clearly presents all reservation data in various cross-sections and sorted as the user chooses, and enables the easy updating of the data. Other than the basic details of the reservation, other data are also displayed, such as the date the reservation was made, the person taking the reservation, special requests, a history of updates made to the reservation from the time it was taken, and more. restorun 2.0 manages a database of the restaurant's customers, including: personal details, customer classification, special requests, and the number of visits, cancellations, and non-appearances at the restaurant. When a customer calls to make a reservation, the system identifies the customer and immediately presents the host/hostess with the customer's personal profile. In this way, the host/hostess is able to provide customers with personal attention, and special attention to their previous requests and preferences. 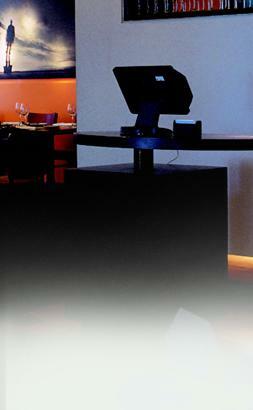 Through the ClickATable application, the restaurant can also receive reservations via the Internet. Taking reservations via the Internet enlarges the restaurant's reservation volume, lowers the host/hostess's telephone load, and enables customers to make a reservation by pressing a button 24 hours a day. The reservation process is totally automatic and the customer immediately receives a confirmation of his reservation. The system enables the restaurant to define how many places are allocated to the Internet, which tables and at what times. A list of reservations made in advance by telephone for which there was no room. A list of those waiting at the door – a list of chance customers who are waiting at the entrance to the restaurant until a place becomes available. The system knows how to suggest to the host/hostess which tables are the most appropriate for each reservation. At times when there are no available tables for a reservation, the system will find the nearest possible time to place the reservation, and will suggest the most appropriate tables for it. The flexibility of the restorun 2.0 system enables us to adapt it for each of our clients exactly according to their special needs and requirements. Work from a number of stations in parallel – each station sees the changes made at other stations and is updated accordingly. Caller ID – identification of a customer at the moment he calls. All the customer's details are in front of the host/hostess at the beginning of the phone call. Statistics – an analysis of the number of reservations and those making the reservations according to status and times; segmentation of all entries to the restaurant as dependent on the time of entry. Reports – production and printing of reports for ongoing operation and active marketing For instance: a report of reservations by date and status, a report of customers by type of customer and total arrivals.